Further to the Garda Síochána Ombudsman Commission accessing journalists’ phone records as part of investigations into alleged leaks to media, the Irish Council for Civil Liberties has created a ‘handy guide to phone number snooping powers’. Is GSOC allowed to gain access to this information under Irish law? Yes. Both the Gardaí and investigators with GSOC can access phone records and other personal information, if it is needed to assist them with an investigation of a possible crime. In this instance, GSOC has the same powers to investigate the Gardaí as the Gardaí would have if they were investigating anyone else on suspicion of an offence. The key here is that a Garda who leaks confidential information could be guilty of an offence. Under section 62 of the Garda Síochána Act 2005, it is an offence to disclose information received in the course of duties as a Garda if the Garda knows that the information is likely to have a “harmful effect”. This includes, for example, information that is published and relates to the victim of a crime or a witness to a criminal trial, or leads to a serious infringement of a person’s right to privacy (as well as other issues). The same piece of 2005 legislation (section 98) gives members of GSOC the same powers as Gardaí if they are investigating a potential offence. And, since 2011, Gardaí have the power to access phone records (Communications (Retention of Data) Act 2011). It follows that, because GSOC investigators are looking at a potential offence – the leaking of confidential information – they also have the power to access personal records, including those of third parties like journalists. Sounds a bit like Big Brother. Is there no protection for our right to privacy? Yes there is, but it’s weak. 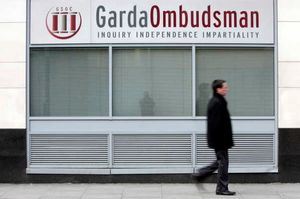 GSOC investigators would have to get sign off by one of the three members of the Garda Síochána Ombudsman Commission. That’s all. How about authorisation from an external body? I thought there was “judicial oversight”? No, both the Gardaí and GSOC can obtain sign off for these powers without referring to any external body. A judge does not need to give permission for these records to be obtained. However, a judge reviews the access requests made by State agencies and gives a report to the Taoiseach, at least every year. The judge can also investigate cases. Also, if you have reason to think that your data has been requested by the Gardaí, GSOC or other State body, you can make a complaint to the “Complaints Referee”. Do GSOC and the Gardaí have other powers to gather private information? Yes, since 1993, the Gardaí have had a lawful power to intercept telephone calls and, since 2009, to engage in hidden surveillance. In 2015, both of these powers were also extended to GSOC investigators. Again, the privacy safeguards surrounding these activities by GSOC and the Gardaí are weak. What about protection of journalists’ sources? A journalist’s right to protect sources or, journalistic privilege, is a key pillar of the freedom of the press. This is protected under Article 10 (freedom of expression) of the European Convention on Human Rights (ECHR) and has been acknowledged formally as a constitutional principle by the Supreme Court in Mahon Tribunal v Keena and Kennedy. This does not mean that journalists can never be forced to reveal their sources, but any order to do so must be proportionate, and subject to strict oversight, for example by a judge. What does the ICCL think should happen now? We agree with the Minister for Justice and Equality that there needs to be a full review of all of these powers. That review must be independent, transparent and use human rights standards around data protection and privacy as key benchmarks. Particular attention should be paid to the case law of the European Court of Human Rights under Article 8 (right to privacy) of the European Convention of Human Rights, as well as relevant case law of the European Court of Justice. The recommendations must be published and acted upon promptly, with a clear implementation schedule. Posted in Misc and tagged accessing phone records, GSOC, ICCL, Journalists at 10:21 am on January 19, 2016 by Broadsheet. So everything is above board and carefully legislated then as you’d expect. Didn’t stop you being outraged though. It is a pretty weak set of safeguards to be fair. But the same for the Gardaí as for GSOC. So if, per Kenny, additional law/regulations need to put in place to curb power of GSOC, the same will be needed for the Guards. Judge Mary Ellen Ring, Carmel Foley and Kieran Fitzgerald, all 3 of whom were appointed by Fine Gael, can authorise unnamed people to access your phone records? This country has become Slalinist Russia under Fine Gale’s watch. Down with Mean Joe Slalin! I used to comment a lot on thejournal. My hatred of all things Edna Kenny was well documented. Someone that I know, who worked for fg media office told me that there are people monitored on social media and I was one of them. I went there for some weekend reading… it is not a nice place, down there in the comments section. Do the Shinners do that, shower o’ fupps! Fitzgerald was there from the very start. He’s not a FG but a FF appointee but he is also a former producer of Bosco on RTE so that’s where the confusion may have arisen. Is it just kind of an endemic laziness involved in all these botch jobs of legislation and infrastructure and decision making? The desire not to create any extra ‘work’? Sure why be bothering a judge and having wait for sign-off. Sure why independently appoint the Commissioner, sure who’d be arsed interviewing people. 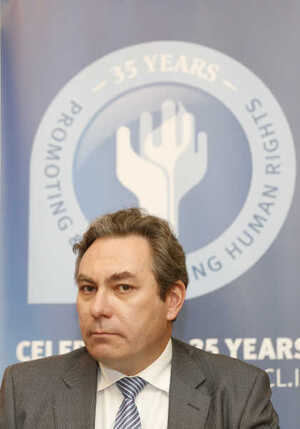 Sure why oversee the Gardai independently, sure doesn’t the minister like doing it on the side. Sure flog that asset to the first bidder at a write down and we’ll get out early for a pint. Clearly you don’t understand their next level neo-efficiency. Why bother going through the process and routine when the decision was made at the start and the conclusion is foregone anyway? 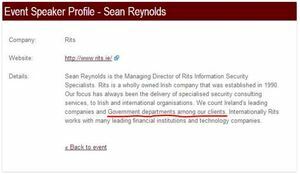 Are GSOC being accused of snooping on Paul Reynolds and Paul Williams ? I’ve often wondered how they seems to know who committed a crime before the perpetrator knows …. so the GSOC are doing nothing wrong here. It’s funny how the media gets all irate when one of the their own is facing some grief. If gardai are feeding journos , then I want them jailed. If that means some journalist has his phone monitored then so be it.